The main goal of the MICCA Global Programme is to empower local smallholder farmers to contribute towards creating a low carbon emission agriculture pathway for the future. MICCA is working with national and international partners to carry out a set of pilot projects (mainly Tanzania, Kenya, Vietnam and Ecuador) designed to integrate climate-smart practices into existing smallholder high-emission agricultural activities. Agricultural production systems managed in a ‘climate-smart’ way, emit fewer greenhouse gases, create significant carbon sinks, and at the same time become more productive and more resilient in the face of a changing climate (FAO 2010). 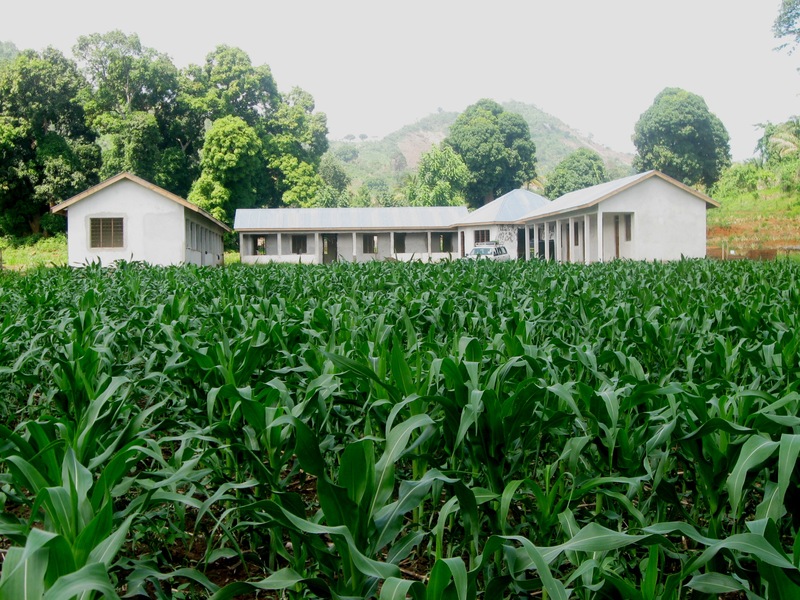 In Tanzania’s Uluguru Mountains, current farming practices, including slash and burn agriculture and annual burning of fields and adjacent forest areas are causing severe soil degradation. The Mitigation of Climate Change in Agriculture (MICCA) Pilot Project is being carried out within the Hillside Conservation Agriculture project (dated back in 2009 and it is currently in its last year of implementation), in which soil conservation and zero tillage practices are integrated into smallholders’ farm management. The MICCA Pilot Project in Tanzania started in early September 2011 and will last until August 2014. The MICCA pilot project introduces agroforestry into the already introduced conservation agriculture practices promoted in the area. Additionally, other climate-smart practices reinforce the smallholder farmer system of the project area. These include soil and water conservation techniques on the steep slopes; the promotion of energy saving cooking stoves; tree nursery establishment and management; and climate change and environmental awareness to avoid slash and burn practices and forest degradation. The MICCA project mainly uses three methodological approaches to carry on project field activities: the Farmer Field School (FFS), the Participatory Technology Development (PTD), the Participatory Variety Selection (PVS) processes, and the Village and Savings and Loans (VSL). These approaches provide a learning environment in which farmers have the opportunity to participate and reflect upon their locally specific knowledge on agricultural practices and encourage the development of relevant innovations for managing agricultural systems suitable for their local conditions. In addition, the micro-financing scheme (through VSL groups) help support conservation agriculture activities through the use of savings and loans. Two Contact Farmers and two Community-Based Trainers have also been selected per village to strengthen extension services in the project site. In addition to the approaches used to promote climate-smart agriculture, scientific measurements led by ICRAF are taking place all throughout the lifespan of the project. These include Greenhouse Gas measurements and the Land Health Surveillance Framework. Climate-smart agriculture has been found to increase yields while also increasing carbon content and moisture in soils. To test this hypothesis, greenhouse gases measurements take place in selected farms. ICRAF is also using a land health surveillance framework for targeting agroforestry and sustainable land management interventions and assessing their impacts on land health (the capacity of land to sustain delivery of essential ecosystem services) to provide information at a landscape scale on the conservation agriculture and agroforestry practices introduced in the area. The potential of climate-smart agriculture in both helping to mitigate and adapt to climate change is high. Conservation agriculture can increase soil organic matter, the ‘resilience of the land’ through enhanced fertility, soil structure, soil life and biomass production, and can increase the water infiltration and retention (FAO 2010). The use of trees and shrubs on farm help to tackle a triple challenge: food security, mitigation and reducing vulnerability and increasing the adaptability of agricultural systems to climate change. Trees and shrubs provide important regulating and supporting services to reduce vulnerability to climate change. Ground cover, either vegetative or with mulch is the key factor determining the microclimate. Thus, land management can seriously influence the microclimate by reducing wind and improving shade (FAO 2011). The involvement of schools into the project triggers the CA adoption. Climate change and environmental awareness is key to behavioural change and to combat slash and burn practices. Strong partnerships with Local Government Authorities and District Government guarantee success of the projects as they support the project efforts whenever is required. The use of demonstration plots increases climate-smart options adoption by 10%. Contact Farmers and Community-based Trainers reinforce extension services and have proved to be useful in the promotion of conservation agriculture and other sustainable land management practices as they contribute to the multipliers effect in the area. The use of CA leads to surplus production leading to increased income and household food security. Revenues from crop sales using CA are 33% higher. There are higher yields with CA than using traditional practices even if the complete bundle of CA principles is not in place. - Conservation Agriculture has a slow adoption among farmers, and it is first applied in staple crops. Gradually, farmers implement the combination of the 3 principles of Conservation Agriculture: minimum soil disturbance, permanent soil cover and crop rotation/association. - CA is labor intensive at the start, but afterwards less work and less land to obtain higher yields. Investments in conservation agriculture can be recovered relatively quick. However, a thorough study on the economics of conservation agriculture should be undertaken in order to have an in-depth understanding of the costs and benefits of using the technique.